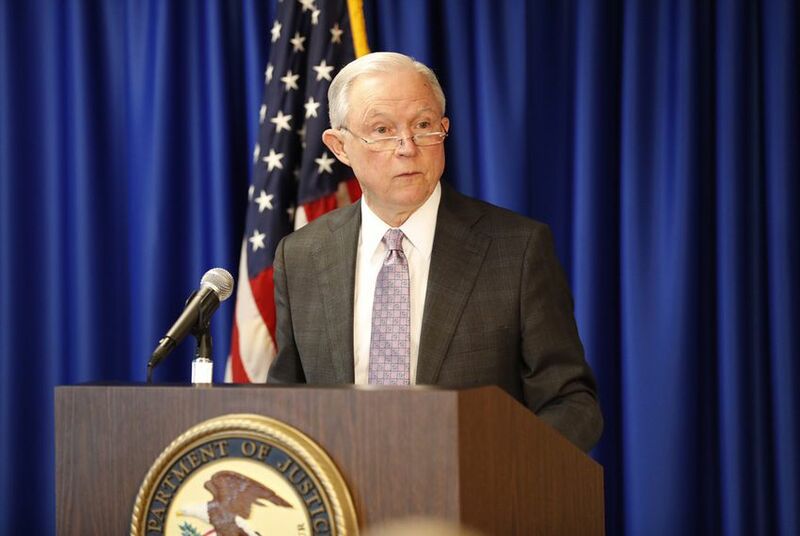 “The mere fact that a country may have problems effectively policing certain crimes — such as domestic violence or gang violence ... cannot itself establish an asylum claim,” U.S. Attorney General Jeff Sessions ruled Monday. United States Attorney General Jeff Sessions ruled Monday that most victims of domestic or gang violence alone generally were not eligible for asylum under federal law, a move that reverses long-standing U.S. policy and, immigration attorneys and advocacy groups say, paves the way for victims of violence to stay trapped in their home countries. One of the respondents in that case was beaten and raped by her husband but was told the police could do nothing to help her, according to the Catholic Legal Immigration Network. In Monday’s decision, Sessions wrote that, while circumstances in certain countries might be less than ideal, such conditions don’t automatically apply to current asylum laws. In the opinion, Sessions said that the Board of Immigration cited the 2014 ruling to overturn a 2015 asylum denial concerning a Salvadoran woman also fleeing violence, referred to in court documents as A-B. The decision was also vacated after Session said the board did "little more than cite" the previous case in its reversal. Beth Werlin, the executive director of the American Immigration Council, blasted the decision for its effects on people also fleeing gang violence. Jeanne Atkinson, executive director of the Catholic Legal Immigration Network, said that asylum law has long viewed it as a form of persecution when abuse comes from entities that a national government is unable or unwilling to control. “To declare that asylum can no longer be granted to victims of gang violence or spouse abuse not only flies in the face of the American tradition of protecting the most vulnerable immigrants, it sets a dangerous precedent for other victims of violence, including those who are targeted for their religious beliefs,” Atkinson said.